While you are surfing the internet these days, your data is not secure. Gone are the days when you could access the internet without any worries. Today accessing the internet comes with security threats, malware attacks, and different other forms of cyber crimes that can steal your data from right under your nose. Each time we access a public network like the WiFi hotspot, our data is exposed to security threats. An avid internet user is constantly under the fear that his data will be compromised any moment. And, it’s not just about the public networks, your private networks are also equally exposed to risks irrespective of whether it’s the WiFi hotspot connection or the internet connection. Additionally, being visible and identifiable on the internet attracts unwanted targeted ads and content that is inaccessible. These threats and more are keeping the service providers constantly on their toes. 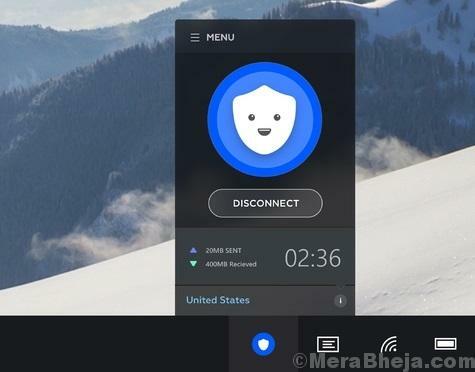 With the rising awareness on the security concerns, VPN (Virtual Private Network) software is one such measure that can help your PC connect safely to different locations across the globe. It also helps you in accessing remote desktop, sharing files and folders, and more. So, a VPN service helps you browse the web privately as it keeps your internet access protected by making both your private and public networks secured. Simply put, a VPN software protects and conceals your online identity. There are numerous free VPPN services available in the market, however, you must find the best for your PC for increased secure and privacy. Here is a list of 10 best free VPN software for your Windows PC in 2018. Looking for the best VPN software in he business? 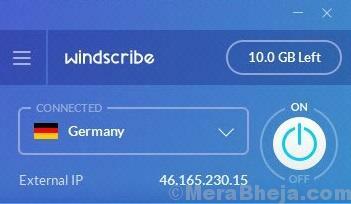 With 10 GB data per month and fantastic speed, Windscribe is undoubtedly one of the best of the lot. It comes packed with three different types of connection modes which are: UDP, TCP, and Stealth via Stunnel. Its primary job is to remove complete traces of used data within 3 minutes of logging out and so, is widely known for offering high level of privacy. It offers bonus 5GB to those users who share their experiences with the services on Twitter, that adds up to a total of GB per month. 15Gb per month is a great deal for VPN users that makes it such a sought-after software. That’s not all! It also offers you an in-built adblocker and firewall for an even experience. For those who are using VPN services for the first time, TunnelBear is the perfect choice to start with. It offers a user-friendly experience for the novice and 500 MB traffic every year. While it’s easy to use, you can also earn an added 500MB every month for sharing your experience with them on Twitter. It’s perfect for the users who do not download much and are more into streaming videos. USA, UK, and Germany are three countries where the internet traffic is routed to, by TunnelBear. The brand is known for having servers in over 20 countries across the world. Best of all, it is known for its powerful encryption that keeps your data strongly protected from the snoopers. 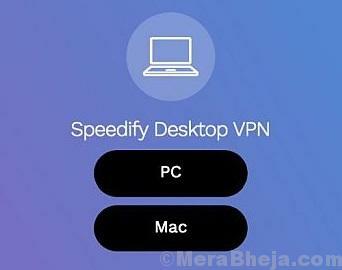 This is a unique VPN software that allows you to bypass the limitations and access any website in your region irrespective of being blocked. Simply put, it allows you to open even the blocked websites in your region and still keep it a secret. It’s an easy to use tool that can be used even by the amateur who haven’t heard anything of VPN yet. So, it basically allows you to access blocked websites in your country and this is done by connecting you to your country’s network where the website is available. You can install Hola to your browser as an extension so that you can use it directly from your browser. 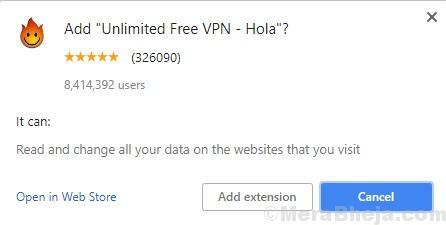 All you need to do is to press the tiny Hola button to be able to view the list of top websites that are blocked in your region. While it shows 6 blocked websites from your region, you can view the complete list of blocked websites by clicking the link that says “Popular Sites”. VPNBook is a completely free software with no option to upgrade to a premium version. The best part is, there is no constraint on services and no caps on bandwidth. But, then again, it’s not a software that beginners can use. With almost no guidance and no software or installer, it’s definitely not a beginner’s cup of tea. All you have is a list of servers and the rest, you will have to figure out. That being said, with free access to internet these days, you don’t have much to complain. Ycan get answers to your query on the forums or support on the web whenever you find yourself stuck with the software. You can select from the two options – OpenVPN and PPTP VPN. The latter works on nearly all platforms, but it can be easily blocked by the government and the content providers. 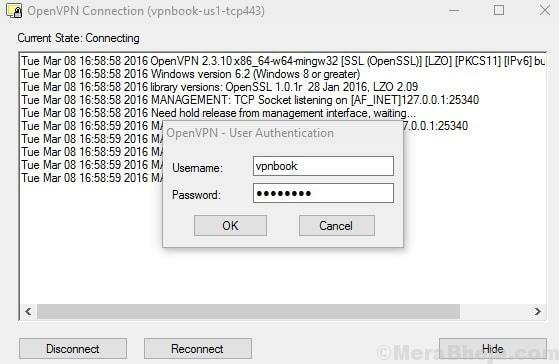 For a more secure option, you can choose OpenVPN client as well as the configuration and certificate package for the VPNBook. The servers for the company are located in three countries – United Kingdom, United States, and Europe. CyberGhost is hands down one of the best free VPN software available in the market for your Windows PC. It’s available in both free and premium versions and connects the users to its servers located in 14 different countries across the globe. It offers a user-friendly experience along with an exceptional customer support services. It’s known for its super ability to conceal your identity and all your usual internet activities from the Eagle-eyed hackers. What’s more? The software also allows you to fake your IP address thus, making sure that your data is safe. CyberGhost is known for updating their software at regular intervals and offers powerful security measures. Among its other features are ability to access free servers, 1GB traffic per month, bandwidth upto 2 Mbps, restricted availability, and mandatory disconnection after 6 hours of usage. While we are looking for a secure connection, we are also looking for speed and Speedify offers just that. With 30 servers located in 20 locations across the world, this VPN service supports upto 5 devices at a time. Known for it speed and strong encryption, this VPN provider makes use of all internet connections available to achieve maximum performance. For instance, it can strive to get the best possible performance from a combination network like an Ethernet connection with a tethered hotspot connection on 3G/4G mobile connection. Best of all, you can get access to all the servers even with the free plan (that you can access via a subscription). The only limitation of the free version is that you can download only a limited amount of data. For those on a free plan get 4GB data for the month to use, which subsequently drops to 1GB from the 2nd month onwards. While this offering is not as huge as some of its competitors, it’s better it’s definitely better than some others. It’s a free VPN service that’s ad-supported. It is especially good for those who are into heavy downloading or regular video streaming. Spotflux encrypts your connection and enables you to access the web, browse, and transfer data safely. What’s interesting about this software is that it not just keeps your data safe from the hacker’s claws, but also blocks the internet companies from snooping on your data or keeping a track of all your online activities by giving out any arbitrary DNS address and IP address. In short, it blocks the malicious sites that are harmful for your PC. Bonus – it works on multiple platforms while offering you a peace of mind as you can simply set it and forget. 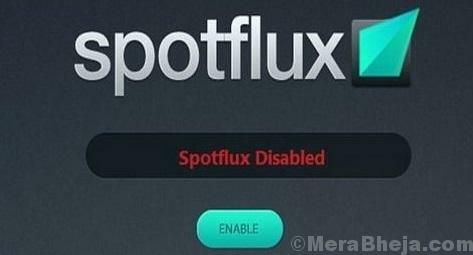 Leave it on Spotflux and it will take care of the safety of your PC. For Chrome users who do not want to download the desktop variant, there’s an extension available in the Chrome web store that they can add. It offers a privacy test that can run a scan for the websites to track cookies. However, for this, you will need the upgraded version of the software to block the cookies. HotSpot Shield by Anchor Free is one of the most commonly used VPN software that has been around for many years now. It still retains its popularity among users in the category of free VPN services. The best thing about this software is that once installed, you can browse internet at public WiFi hotspots without any worries on your data being stolen. In short, your data and identity are completely safe even in public networks. You can go complete anonymous using this software as well as add proxy for increased security while online. If you are looking to unblock geo-restricted content as well as maintain privacy, then this is not for you. The software is also known to make some forced changes to your homepage and even install some toolbars without your consent which is an annoyance, however, it’s quite effective for those looking for privacy and anonymity while online. You can even hide your IP address using the virtual tunnel by selecting any one countries from the drop down that lists UK, US, Japan and Australia. The free version offers only US based servers and those who want access to Netflix or Hulu will have to upgrade to the premium version. Moreover, the VPN connection may drop during peak hours (heavy traffic hours). But, considering that it comes packed with lots of privacy tools along with the VPN, makes it a great option for those looking for online safety. This is perhaps one of the easy to use VON software in the category. You can activate the services in just one click and so, is ideal for even the beginners. Once connected you can browse any website on the web and will let you connect to any portal without any hiccups. It also allows you to bypass ISP firewall, so those who are unable to access Facebook or ISP due to limitations, this software will help you to get access to even those smoothly. It’s available in both free and premium versions. The security layers offered by Betternet is available in the paid version. It allows you to browse the web in anonymous mode by changing your IP address. The company offers unlimited data, but it does not allow you to choose the server to connect to. The free version is good enough for privacy and security. Upgrading is really not necessary as it randomly hides IP addresses. Internet has slowly emerged as a necessity these days and with increasing usage across public and private networks, security threats have become a great concern. These are some of the best VPN software that can help you browse privately and securely at any location worldwide without causing any worries related to your data being watched or stolen. So, take advantage of VPN services from a trusted name and browse safe. The company is based in Malaysia with free servers located in 3 countries – Canada, Singapore, and Netherlands. The service is limited to only one device. What we love about this VPN software is that it offers strong privacy with no annoying adverts or no speed lag. It’s available in both free and paid versions. The free version offers 2GB of data per month and provides support for PPTP, L2TP, SSTP, and IPsec protocols. In 2015, the company was caught among a controversy after which the company decide not to keep logs. This is one major plus because with no logs on display, the chances of breach of privacy is also reduced drastically. The internet companies will have no way to track your internet activities. Best of all, the company also publishes a transparency report at regular intervals that lists all the authorities who have asked for information from them.